Radically Transform Your Mind, Your Future. 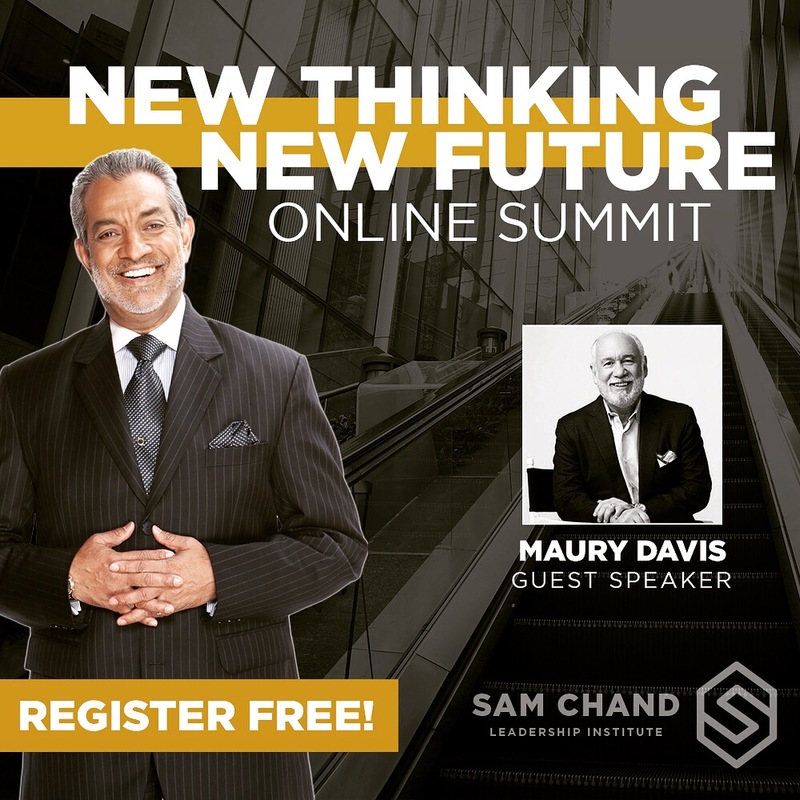 Join Maury Davis, Sam Chand, and several other top leaders for a special FREE online leadership summit. During this event, Sam Chand will be giving away 500 free copies of his BRAND NEW book, New Thinking, New Future for FREE! Get instant access to exclusive teaching videos, podcasts, and church growth resources. More than 30 years of experience as a senior pastor, ministry designer, and administrative developer. Discover and develop the potential to maximize the gifts of God in you and your staff. Identify barriers and pain points in the process and find quickly implemented solutions to grow to the next level. Download high-impact leadership disciplines and develop your thought process in a group setting. See where Maury will be next!